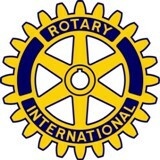 April 22: Rotary serves. No project until May 11..
May 6: Luncheon meeting at Nectar: Program TBA. May 11: Rotary Serves. Members can sign up for Spokane Rotaract Junior Lilac Parade. The organization starts at 7 a.m. with a breakfast at The Centennial Hotel (former Inn at the Park and RL). Participants receive a T-shirt. President Lenore Romney has registration sign-ups. The theme is “Bands on Broadway,” for this 68th annual Junior Lilac parade. Club 21 and Aurora Northwest are sponsors and Spokane-North members are welcomed participants. May 13: Rotary Connects. Social gathering begins at 4:30 p.m. at Nectar Wine and Beer in Kendall Yards at 1331 W. Summit Parkway. Sept. 20: Club fund-raising wine tasting and dinner at Kalispel Golf and Country Club. New m ember: The next new member to join the club is Ron Schurra, sponsored by Art Rudd. Club President Lenore Romney conducted the installation April 15. Ron and wife, Edie, recently moved to Kendall Yards. Ron, an alumnus of both St. Louis University and the University of Michigan, worked in hospital administration for 42 years, including 10 years at Holy Family Hospital. Ron and Edie have been married for 48 years and have three daughters and four grandchildren. Scholarships due: Coordinator Brian Hipperson said April 30 is the deadline for the Jerry Saling Memorial Scholarships. The club offers two $1,500 awards, usually selected from North Central, Shadle Park, Rogers high schools and the On Track Academy. 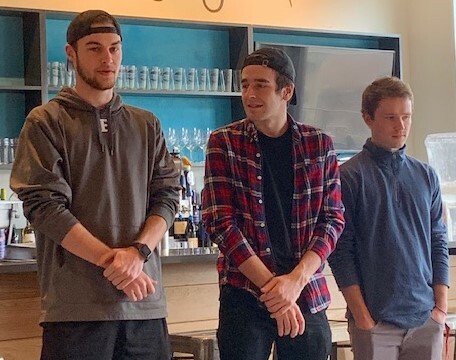 The crowd didn’t quite match the raucous Kennel, but enthusiasm was very evident as new members of the Gonzaga University Rotaract Club described their plans at the club’s April 15 luncheon. Talking about their plans were GU freshmen Nate Verboort, Tyler Zangaglia and Justin Leach. Each are from Sammamish. Nate and Tyler worked in their Rotary Interact Club and Justin worked in Boy Scouts, including as an Eagle Scout. The new 20-member Rotaract Club include five members from Sammamish, Nate said. Some 17 of the new club members worked at the new Faith Promise of Spokane project along with several Rotary members for the homeless March 23 on a chilly Saturday morning. The former grocery building is at Napa and Mission. Working with the homeless is one common thread for the new “Rotaractors.” Though there aren’t many homeless people in Sammamish (population 65,000), there are thousands in the Seattle area, about 20 miles west. Tyler said the lakeside suburban city “is a bubble, with not much homeless, but our peers got a view of the issue” working in Seattle. Some of the work with the homeless in Spokane may involve Rotaract projects, they said. Enter the GU Rotaract, sponsored by the Spokane-North Club and South Rotary. And for a village dealing with homelessness, it will take a whole village to solve the problems. Rotary International reaches out to young people from ages 12 to 30. Rotaract – for people 18-30 -- began as an RI program in 1968 in Charlotte, N. Car. The RI website lists 10,904 Rotaract clubs, with more than 250,000 members in 184 countries. RI says Interact – for ages those 12-18 – has 20,372 clubs, with 468,000-plus “Interactors” in 159 countries. President Romney said the club’s annual dinner and installation of officers will be Monday, June 24, at the Kalispel Golf and Country Club’s 1898 Restaurant. As plans emerge for the Rotary year, club members are asked to get more active and to assume some of the leadership duties for projects at Holmes Elementary School. Members Sandy Fink and Nancy Hanson are coordinating the projects, but need more help. Holmes Mentor: Goal: develop a friendship with a Holmes student on a one-to-one basis. Timeline: School year or partial year, September to June. School Supplies: Goal: Provide staff and students for the school year. Timeline: Spring – gather needs. Summer – get list of supplies to Staples. August: Arrange delivery and store supplies. Holmes Heroes shirts: Goal: Provide T-shirts to students selected for monthly heroes. Timeline: Aug.-Sept. --Obtain budget from club board. Give Holmes th budget for ordering. Obtain invoice from school and request payment. Principal Emergency Fund: Goal: Provide money for emergency supplies for students. Timeline: Three times a year – October, January and April. Christmas Gifts: Goal: Provide gifts for needy students. Timeline: In October contact school for the families. In November give list to club members. In December arrange collection and delivery of gifts. Golden Heroes Awards: Goal: Provide students and teachers for money to buy books for Golden Hero winners. Timeline: Supply the school with money to buy books one month before the awards assemblies, usually in December, March and June. 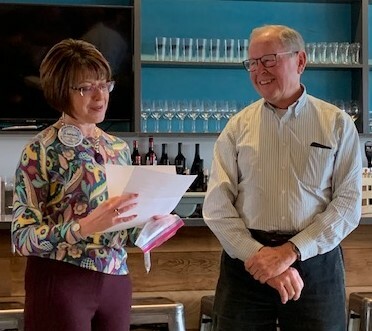 April 8: Rotary Connects gathering, 4:30 p.m., Helix Wines, 824 W. Sprague. April 15: Luncheon meeting at Nectar: The new GU Rotaract Club. April 22: Rotary serves. Project to be announced. “New member, old friend:” Club President Lenore Romney had the delightful duty to install as our newest member her husband, Bob Romney. She described Bob as a “new member but an old friend. Bob for years has been a frequent worker on various club projects and at numerous other club activities. Lenore discarded “the old spiel” of Rotary installation proceedings, adding instead a heartfelt message about Rotary’s basic tenets and objectives. Nicely done, indeed. The next new member to join the club is Ron Schurra, sponsored by Art Rudd. Installation for Ron is scheduled April 15. Tax change: President Romney said the club has joined the Rotary District 5080 Foundation, which will allow 501(c)3 deductions for those who itemize on tax schedules. A presentation on the tax possibilities is scheduled this spring. Scholarships due: Coordinator Brian Hipperson said April 30 is the deadline for the Jerry Saling Memorial Scholarships. The club offers two $1,500 awards, eligible students must attend North Central, Shadle Park, Rogers high schools, On Track Academy or the Community School. The third quarter of the club’s Rotary year was packed with achievements and activities. President Romney said the club’s fiscal matters are in good shape and on schedule as planned for the year. The club helped charter Gonzaga University’s Rotaract Club. Some of the members are invited to speak at the club meeting on April 15. The Golden Heroes awards at Holmes Elementary School, with Lenore Romney and Eric Johnson participating. Top-level Paul Harris RI Foundation awards were given to Steve Boharski (three sapphire level) and John Maillard (three ruby level and RI’s top award). Art Rudd celebrated his 50th anniversary with the club. Meeting speakers included Joe Frank of Greenstone and Kendall Yards, City Council member Karen Stratton, Bloomsday race director Don Kardong, club member Eric Johnson and Brooke Madsen and Kate Reed, with a tour of Spark Central at Kendall Yards. Rotary Serves participated at the second Harvest Food Bank sorting and packaging potatoes this past Saturday and Monday. Members will vote on the leadership list at the April 15 luncheon. The club’s wine-tasting fundraiser for projects at Holmes Elementary and other projects is set for Friday, Sept. 20 in the “big tent” at the Kalispel Golf and Country Club. Club President Lenore Romney said the tent will allow more space than the smaller rooms at the country club. With relatively short notice in November, the Rotary club raised $13,000, with about 100 members and guests attending. Romney said that with hopefully warmer weather and more notice the attendance and proceeds will be higher. She said the number of those attending last year was about the maximum that dining room could accommodate. She said the fund-raising event will include the popular wine grab and perhaps a silent auction. Longtime Holmes volunteer Sandy Fink at the April 1 meeting recounted the many activities at the school since 2003. She listed the annual supplies gathered and stored, books provided and labeled for various classes, Christmas gifts for needy students and families and even landscaping at the building.